I hope so! Because today I’m going to tell you about anywhere and everywhere you can rustle up some grub in our Park March Through Magic Kingdom. There are so many great places to dine in this iconic park, it will leave you amazed. Don’t believe me? Ask the dishes! Lets dig right in and start with the restaurants and good eats you will find on Main Street U.S.A.! The first restaurant you come to in Magic Kingdom is definitely a great one. 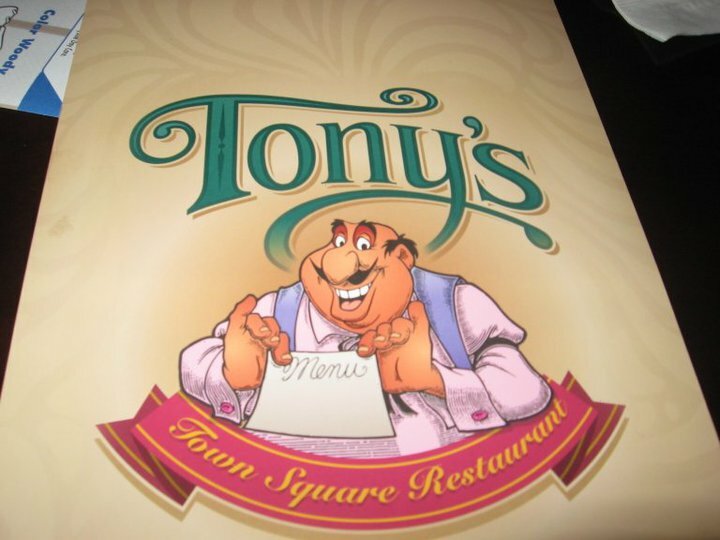 Tony’s Town Square Restaurant. This Lady and the Tramp themed, sit down restaurant serves up great Italian cuisine for lunch and dinner. Get your fill of salads, pastas, pizzas, and more, and don’t forget to save room for dessert. Take your pick of tiramisu, crème brûlée, or their delicious spumoni. The spumoni was definitely a family favorite dessert when we ate there last September, and my dad raved about his steak he ordered for dinner. This is a more expensive Magic Kingdom option, pricing around $15.00-$35.99 per person, or one table service credit if you are using the Disney Dining Plan, but you won’t leave disappointed. A picture my mom took of the Menu. The Plaza Restaurant is another sit down stop if you are looking for something yummy for lunch or dinner. Choose from burgers, deli-sandwiches, and salads, and top it off with a hand-dipped milkshake or float! The Plaza Restaurant fits right in with that Main Street U.S.A feel with it’s Victorian American and turn-of-the-20th-century decor. Prices here range from the same $15.00-$35.99 or one table service credit on Disney Dining. If a snack or tasty treat is more of what you are looking for, peak inside of The Main Street Bakery. (Psst! The cinnamon rolls and ice cream cookie sandwiches are the best!) Or tempt your sweet tooth in the Plaza Ice Cream Parlor. Most items from both of these yummy spots count as a snack on the Dining Plan. My cinnamon roll from Main Street Bakery. 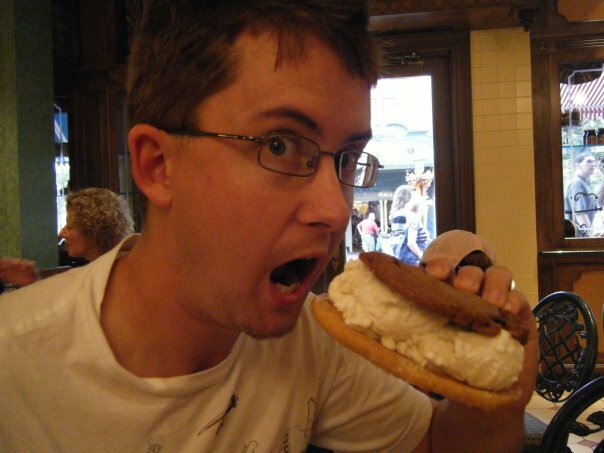 Check out how huge that ice cream cookie sandwich is! Next up is Casey’s Corner. Grab a ballpark hot dog and fries, or an order of corn dog nuggets. (Which are a lot better than they sound. They are actually really good, and kids tend to love them!) Don’t forget to grab a cup of hot cheese from the condiment bar, because fries always taste better dipped in cheese, right? Casey’s Corner is also budget friendly with all menu items running $14.99 or lower, and some of the items can be obtained with a snack credit on the Dining Plan. Last, but definitely not least in the Main Street category is The Crystal Palace! 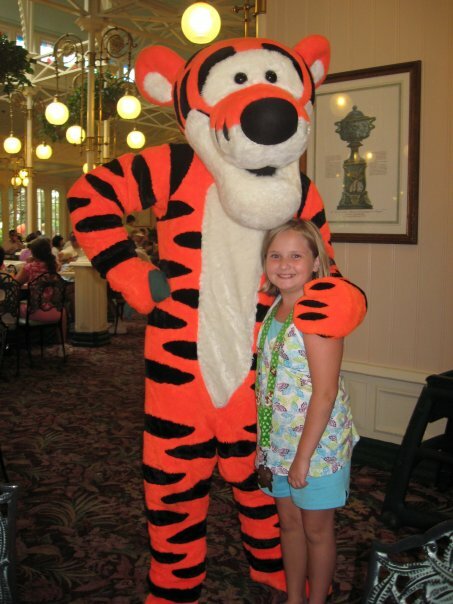 Serving breakfast, lunch, and dinner, The Crystal Palace gives you the ultimate Disney dining experience because not only is every meal an all-you-can-eat buffet, but you get a personal table-side visit from all of your friends from the Hundred Acre Wood, including Pooh, Piglet, Eeyore, and Tigger! Prices range from $15.00-$59.99, but are still only one table service credit on the Dining Plan. Celebrating our two year anniversary at the Crystal Palace. 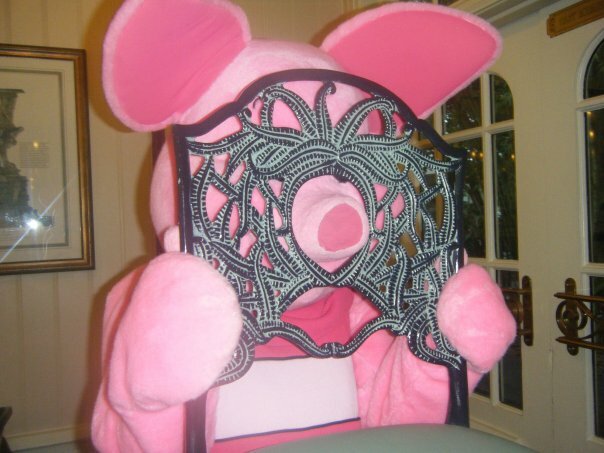 Piglet paying with us and acting silly at our table! Lets take a left and follow along the same path that we traveled in our attraction tour and head into Adventureland. Here you will find some great snack options at Aloha Isle, and the Sunshine Tree Terrace. 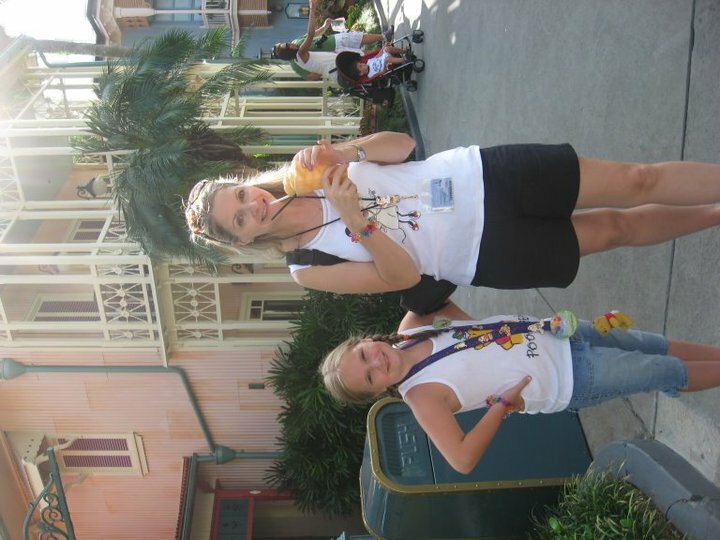 Grab a soda to quench your thirst, or one of the commonly-raved-about Dole Whips! Or if you want something a little different, track down the Egg Roll Wagon! Also, when asked what their favorite grub is, turkey legs are always atop the lists of Magic Kingdom park guests! 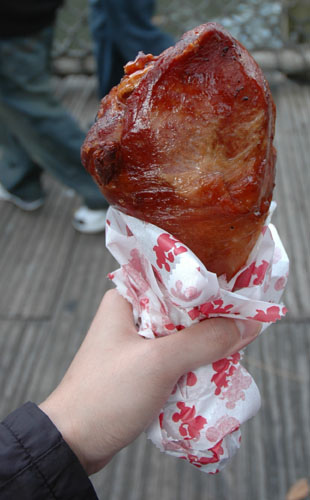 So try one of those huge, juicy, cooked-to-perfection gobblers for yourself at the Turkey Leg Cart, all found in Adventureland. The only other place to eat in Adventureland is at Tortuga Tavern, which is only opened seasonally. My husband likes to eat at this quick service counter. It serves up tacos and burritos with prices under $15.00, or one counter service credit. Lets keep truckin’ on this food crawl, and head over into Frontierland where we will stumble upon Pecos Bill Tall Tale Inn and Cafe. For $14.99 and under, or one counter service credit, you can fill that void in your belly with some good ol’ American burgers, sandwich wraps and salads. You could also tie up the horses and mosey into Golden Oak Outpost for a fried chicken sandwich or flatbread. The Outpost also has some nice sweet options as well. If it’s something simple that you seek, try Western Ho Refreshments for a corn dog, drink, or frozen lemonade. This one is also easy on the pocketbook. Opened seasonally is the Diamond Horseshoe. At lunch it is a quick service restaurant with turkey or peanut butter and jelly sandwiches, and then at night it turns into an all-you-can-eat family-style restaurant with a Saloon Salad and a Ranchhand’s Feast. So eat up, Cowboy, ‘cuz there’s more a-comin’. Prices $15.00-$35.00. Throw a stone and it’ll land right in the heart of Liberty Square, just be careful not to hit a tourist. Liberty Square is home to my favorite Magic Kingdom table service restaurant, Liberty Tree Tavern! 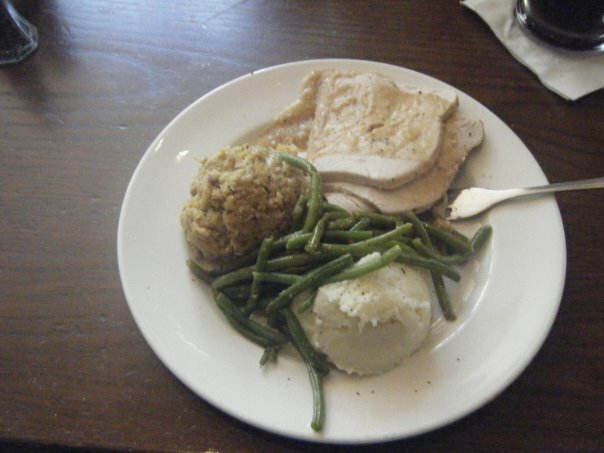 You see, I love Thanksgiving, and Liberty Tree Tavern serves up delicious patriotic platters full of Thanksgiving-reminiscent foods for lunch and dinner like roasted turkey, pot roast, pot pie and more, with a mouthwatering cobbler finish. At lunch, order your favorite item off the menu. At dinner, it’s an all-you-can-eat family-style feast, where the serving bowls are never empty. Prices range from $15.00-$35.99 per person, or one table service credit on the Dining Plan. Pilgrims Feast at Liberty Tree Tavern. If you are not looking for a sit-down meal, there is still plenty to nosh on in Liberty Square. Like the Columbia Harbour House. My husband likes their fried fish, while I tend to stay on shore in my meat eating preferences. Stop by Sleepy Hallow for one of those ever tempting funnel cakes. My eyes are always bigger than my stomach when it come to funnel cakes, but boy are the good! Feeling fruity? Snag an apple, orange, or banana (oh my!) at the Liberty Square Market. Next, lets head back to Fantasyland! You will not go hungry here, with the countless snack stops such as Enchanted Grove, Maurice’s Cart, and Mrs. Potts’ Cupboard. But, if you are fantasizing about something a little more satisfying, try Pinocchio Villiage Haus with prices under $15.00. We like the personal pizzas from there. 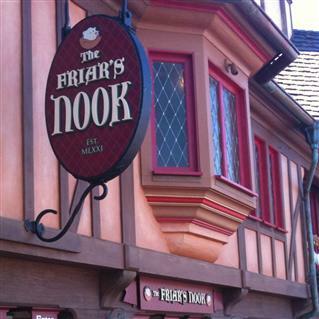 We have also heard terrific things about the homemade potato chips from Friar’s Nook. We will definitely be trying some of those when we go this September! Disney Dining Plan is accepted at these places as well. Alrighty! We are nearing the end of our eat-all food crawl! Heading into Tomorrowland you will find almost anything your taste buds desire inside of Cosmic Ray’s. 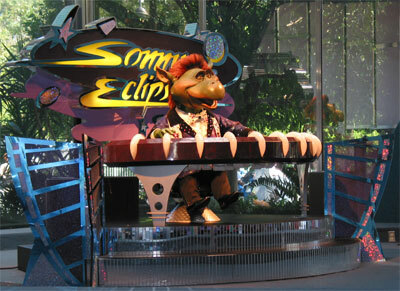 We have grabbed a bite from Cosmis Ray’s almost every time we go to Magic Kingdom. It’s that one stop shop to make every one in the family agree. From the burgers, nuggets, soups, salads, barbecue, and more, even picky kiddos can find something they like…and I have vivid memories of being entertained by the animatronic D.J. at the front of the restaurant. One counter service credit will get you a meal here, where prices run from $14.99 and under. The last stop in Tomorrowland is going to be the Tomorrowland Terrace Noodle Station. Opened seasonally, it is never up and running when we are down there in September. With chicken noodle bowls, orange chicken and steamed rice at $14.99 and lower, it looks as though we are missing out! The most magical and special of the them all.. Yes, you can actually eat in Cinderella’s Castle!! Serving breakfast, lunch, and dinner, you will truly dine like royalty. 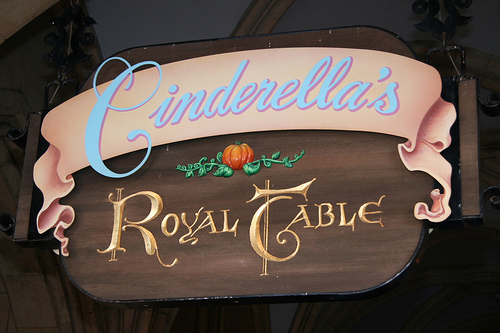 Breakfast is an all-you-can-eat buffet, while at lunch you order off of the menu while getting a special mystery appetizer ordered especially for you by Cinderella herself. Dinner is just as wonderful with tummy pleasing eats for everyone in your royal party. Have your camera ready for all of the table-side visits you will receive from all of your favorite Disney Princesses! 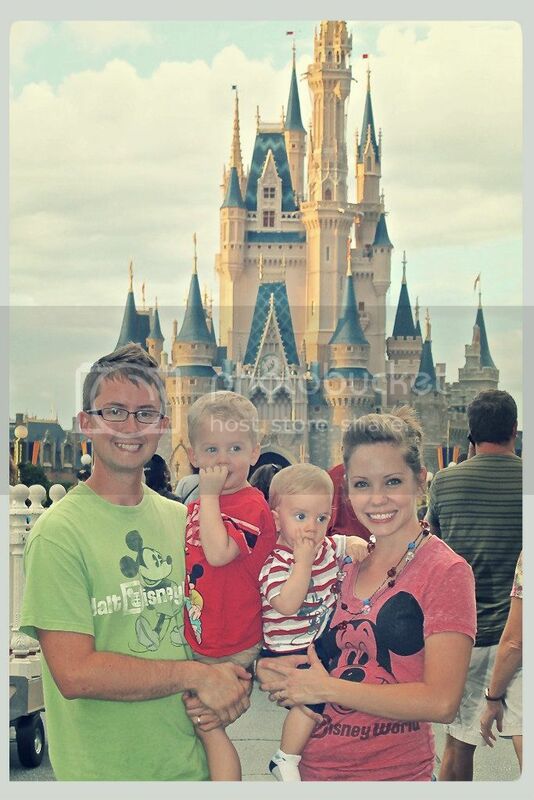 Souvenir photos are available, along with specialty celebration packages at an additional fee. Prices here run a hefty $36.00-$56.99 per person, or two table service credits on the Disney Dining Plan. But I say it’s worth it for the experience…even if it’s just once. My family has done it twice…thus far. With all of that fanfare and fun, I hope you have enjoyed eating your way through Magic Kingdom with me. Last minute advice and tips are to make reservations for all of the table service restaurants in advance! Disney accepts reservations 180 days prior to your visit, so take advantage of that because these amazing restaurants tend to fill up fast. We actually made all of our dining reservations this past Sunday for our trip in September! I will have to tell you about them later. Thank you for joining me on our Park March Through Magic Kingdom: Dining! Are you hungry yet?